This was built for the workplace and I'll be using this computer. I had a budget for about $1,400 for two new computers and $1,000 for the scanner. I tried to save some money for where it was necessary. So for two office computers and a new scanner came a total of $2,100.79. However, this computer already has the necessary scanners for work. We also kept the HP monitor, keyboard and mouse. This computer is replacing a six-year-old HP desktop. There were no major hardware problems from the previous desktop except that the hard drive was slowing down majorly plus the previous desktops were not completely utilized in the workplace. We don’t do any video content as we only manage bills, work with a lot of papers and scanning them as images to reduce paper clutter. This build itself cost $364.06. 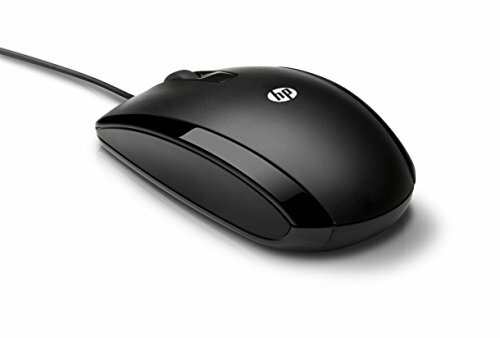 It’s purpose is for the everyday uses with Microsoft Office, eBridge, scanning checks and papers. The networked external 2TB hard drive backs up all the computer files. This build also offers additional upgrades when required. NOTICE: Some of the description below might be a repeat from Sheldon’s description so you are more than welcome to skim read/skip any repetition. Photo numbers 1-5 is the final result. Photo numbers 6-125 is the building process or end result. We nicknamed this PC Leonard due to liking the sitcom TV series The Big Bang Theory. Leonard is one of the main characters. My first time building with the 8th generation Pentium and I am impressed with this dual-core which also has hyperthreading. It’s a smidgen better than Skylake’s i3-6100 and not that far behind with Kaby Lake’s i3-7100, and obviously it’s a little bit better (maybe) when comparing with Kaby Lake’s G4560. 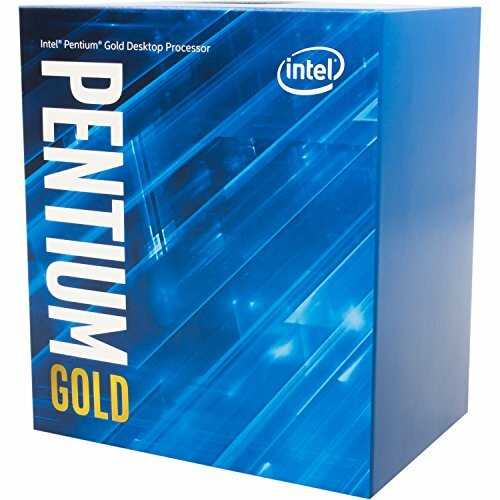 This Pentium is plentiful for the constant everyday tasks, office applications, scanning checks, and scanning papers, and obviously printing papers and labels. No issues with installation. It works and it’s quiet. The only minor bother was some particle build up which I had clean out most of this. Offers the necessary features we needed in a tight budget. 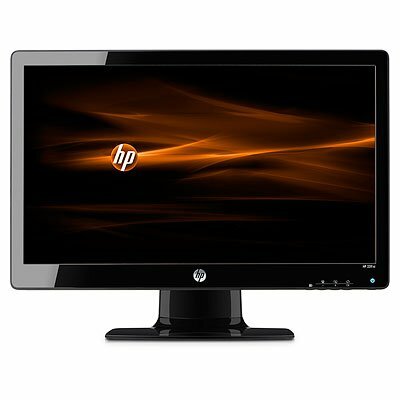 The HDMI is required from this particular motherboard since the HP 2311xi monitor has HDMI. It’s also great to have because the six-year-old dedicated graphics card didn’t go beyond 1080p and it’s nice to have upgraded hardware in general. The DisplayPort must be version 1.2 for the integrated graphics to be as high as 4096x2304 @ 60Hz. While HDMI must be version 1.4 and be set as high as 4096x2160 @ 30Hz. The layout seems thought out well, doesn’t interfere with installations and its connections. And I had no issues installing the motherboard which worked out great. An important tidbit to remember with this MOBO: to support DDR4 @ 2666MHz it must be an i5 or an i7 processor. The only minor issue I had was the incapability to rearrange the Boot Order for the storage. So I update the F1 BIOS to F3 which does officially allow the Boot Order and Boot Override which should have been there in the first place. And it seems like the I/O ports are more cooperative with some device detections. Otherwise, I had no problems installing Windows 10 but what I did have a problem was the WiFi device which this also helped from the BIOS F3. NOTICE: Keep in mind that this only has one SYS_FAN header so if your intention is to have more than one case fan then purchase a fan splitter or a fan hub or a fan controller. Remember the CPU_FAN is for the CPU cooler (air or liquid). And don't forget if install an M.2 SSD to M2M then the SATA3 3 is unavailable because the M2M socket and the SATA 3 3 connector shares bandwidth. It was a tad pricey versus another RAM that was considered but rather have better RAM clearance and a little bit of an overclock with low latency. More importantly, it’s plenty amount of RAM for what happens in the office since multi-tasking isn’t something we do often on a computer. In other words, there may only be 1-4 different applications running with a browser on Windows. I did set this to share 512MB of memory for the integrated graphics. It was a very reasonable price for a 250GB M.2 SSD. Boots Windows 10 in less than 10 seconds. Temps are good so far as I haven’t seen any problems. And I don’t recall the first models being completely blue either but this version is certainly blue all the way with pleasant results! Not a regrettable decision to purchase here and it lessens cable clutter. I had this hard drive available on my shelf and also barely been used. This is a backup storage for images and files. We truly don’t use a lot of storage. And remember we use an external 2TB Hard Drive network to back up all the files for the computers. I purchased these ASAP when they were available for sale. I highly recommend to purchase when they are cheap. However, you do pay for what you get here so keep this in mind. And yet I am a bit surprised with this case at the same. Allow me to explain its pros and cons. 1) It’s spacious. Yes, it may not look like it but Rosewill did better with this layout design versus some of their cheap cases. There’s enough space to tuck excess wires between hiding small wires. 2) Plenty of ways to cable manage. Depending on your motherboard of course, this case has many ways to cable manage. Do keep the bulky wires inside the case because the right side panel is flat. You may notice both left and right side panels are completely flat but I can assure there is few ways to manage wires. 3) Plenty of options with storage. Probably the most I have ever seen in such a small MicroATX case from Rosewill. 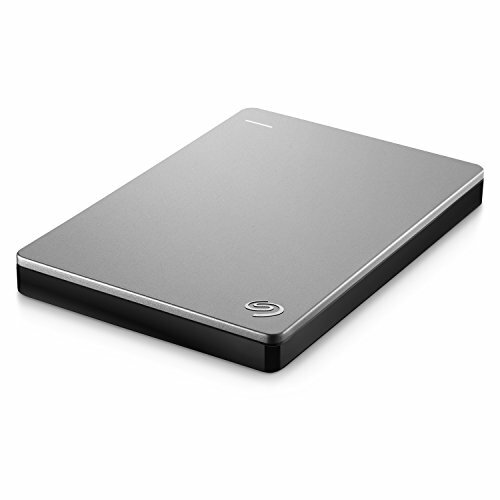 You can install up to six storage drives three 2.5” and three 3.5” HDDs/SSDs. To be more specific you can install one 2.5” SSD or HDD underneath the 3.5” bay, one on the right panel and one to the bottom of the case. And three 3.5” HDDs go in the 3.5” bay. 1) The first thing I saw right away was the warping behind the case, the PCI slots and even the Right Panel and a part of its frame was damaged. Easy to fix by pushing with your hands but this is not ideal nor a good first impression either. Rubber Mullet: I had to reshape the Right Panel and the frame of the case with my 1 pound rubber mullet. Now the Right Panel can fully be installed instead of partially not closed. 2) The other problem I had was being unable to easily remove the right side panel. AKA where everything is tucked wires and behind the motherboard. There’s really no way to properly grip either panel to be honest here but for some reason the right side panel was the most difficult to remove. And I am kind of embarrassed as I didn’t save any of my recorded complaints while I attempted many times… as I quote myself trying to remove the front panel, “Wow… I can’t remove this * bleep *.” I laughed a lot since I’m no stranger of removing panels but this took me a while. 3) The obvious note here is not having a 120mm case fan at the front. So one will have to purchase a 120mm case fan or if one has an extra case fan laying around to have an intake fan. Notice: However, you can also install an 80mm or a 90mm case fan instead of a 120mm case fan. I had two of these case fans laying around on my shelves. Originally came from my mother's BitFenix Prodigy M Case from 3 years ago and these particular fans are really good to be honest. 1,000 RPM is its max but even if it goes over a little more these are really quiet yet still effective. I did check its product # and it shown BFF-SCF-12025KK-RP so it didn't cost a thing and they never been used. The monitor continues to work great and the resolution is 1920x1080 @ 60Hz connected with an HDMI. It’s crystal clear and made some adjustments with the brightness and colors. 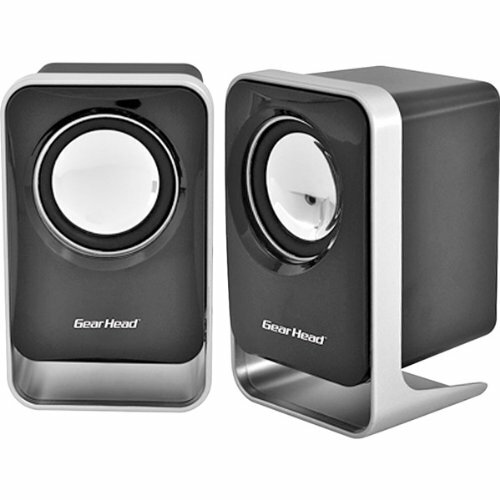 Has no speakers but that’s why I have some other speakers when listening to a tutorial. My official first time to work on the newest 2017 model from Corsair’s CX versions. I am impressed. 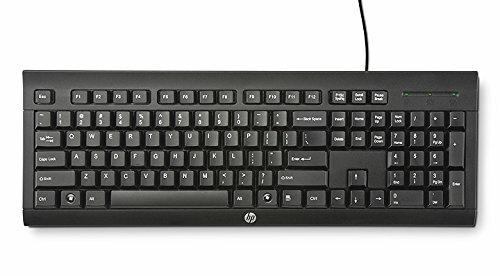 It’s small, it’s light weight and has the necessary cables you’ll need for an office computer or a starter gaming computer. Do keep in mind that the 450w only has one 2+6 pin PCIE cable while the 550w and 650w have two PCIE cables and one or two more SATA cables. The appearance of keeping a black and gray logo helps give a neutral color, especially the black sleeved wires, and I’m assuming the wires are black too. I had no problems either with cable management despite its no modular. And no issues to report but the only problem I had here was the price... the price changes often but at the end of the day it was worth the purchase. Too bad it was $39.99 then the following day it become $44.99. An extra optical drive I had on my shelf and waiting to be used. We have CDs/DVDs that we need even though we use flash drives all the time as well. Sometimes I play a CD playing some of my favorite music when working on papers between scanning. Also needed in case of a tutorial to watch. An extra WiFi I had on hand. The main computer is connected with Ethernet cable but this computer is not since we try to avoid tripping hazards in the office. And thankfully its Windows 10 compatibility and it works very well. 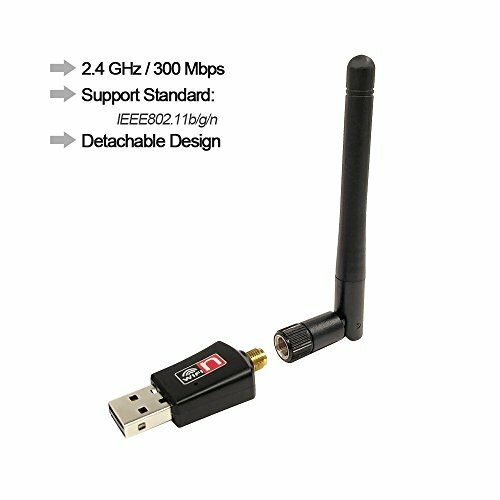 Would recommend this if you are in a tight budget for a 2.0 USB WiFi for Windows 7, Windows 8 and Windows 10 (I think it also works with XP and Vista too but I wouldn’t recommend it). These are more basic and requires an audio jack and 2.0 USB plug in. However, they work good with some adjustments on the volume or you could gain some static or clicking (which was odd a couple of times). They do work regardless. I needed speakers for tutorials since the monitor didn't have speakers. Once I finished the previous main business build, this computer being built was a lot quicker since it was not that much different. I did enjoy building this last addition for the workplace and I’ll be using this particular computer often for scanning and eBridge. 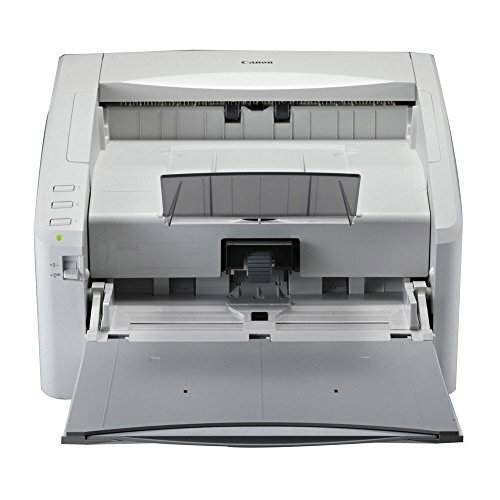 Notes about Canon DR-4010C scanner: This was the most easiest to locate the driver manually online and install (DR-4010C ISIS/TWAIN Driver Version 1.7 SP2). What they don’t offer online anymore is a software to scan images into your own computer for this particular scanner. Unless you have the original contents (a disk) that came with the DR-4010C scanner. This scanner is a work horse and thankfully we did have the software to scan our own PDFs for own records to save. Yes it all works for Windows 10 despite its age. 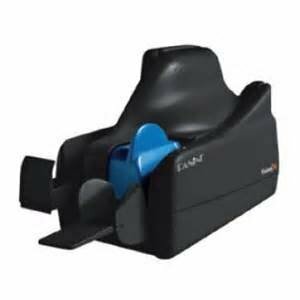 Notes about Panini Scanner Vision X: Probably the most finicky installation setup due to drivers. Locally the scanner works but we only use this to scan checks into our bank account. And since it’s originally from our bank who offered this a long time ago, the drivers originally are from the account too. So basically I had to login into the bank account, where I normally do desktop deposits and there will be a Panini Driver version 1.4 (2.0 driver is only offered if it detects one of the newer models). Yes, the device had to be plug into a USB port first, once the driver was downloaded then you have to log out of the account and disconnect the Panini’s USB from the computer (or the device itself) and install the Panini Driver v1.4. Now if the internet is not working well or in other words you keep disconnecting while you are downloading the Panini Driver 1.4v then it might not work. It took me two attempts (had to clean uninstall the Panini Driver and had to download again and re-install it). Once that’s a successfully download without interrupts from the internet then you install the driver and when that is done then you restart the computer. Turn on the computer and login into your Administration Account and when you are in Windows 10 then connect the Panini device’s USB to a 2.0 USB port. Test it to see if the computer detects the Panini and try to see if the local scanner application works. Once that test is passed then login into the bank account and do the usual desktop deposit. When ready to scan in the check(s) and hearing the device powering ON then it’s a success. It was an easy fix but it took me a couple of hours to solve the issue because sometimes the basic steps solves the problem versus overthinking it. Just try again by re-installing the driver. VLC Media Player: If you have VLC Media Player and it shows a black screen with sound then you most likely have version 3.0.3 which was released on June 29, 2018 or sadly it's just happening. To solve this issue go to Tools > Preferences > Input / Codecs. Under Codecs there's Hardware-accelerated decoding, from this select the drop-down that displays Automatic and change it to Disable. Click Save once you disabled the Hardware-accelerated decoding and close VLC Media Player. Start VLC Media player again and try to play a DVD movie and you should see the movie (etc.) with actual video playback. Anyways, thank you for reading my description. Please feel free to leave any comments, questions, and constructive criticism. I’ll correct any mistakes, typos, if I forgot to mention something or if I need to clarify something better. Thanks and that's understandble but this Pentium works very well for what I do in the workplace. The primary business computer uses the i3-8100 and my manager does more purpose on their computer than what I do with mine which is very basic everyday uses. Scanning checks and paper is a breeze for me now and printing labels is snappy-fast. And you are more then welcome, thanks for the support! Is the Windows 10 installer a CD? Yes, the Windows 10 OEM Home (and Pro too) comes with a CD for installation. Though I used my 3.0 USB (Flash Drive) that has a Windows 10 disk image. Downloaded the Windows 10 ISO. Finally a post comes and someone has built an office PC. Good build here, the Pentium is a good little chip. 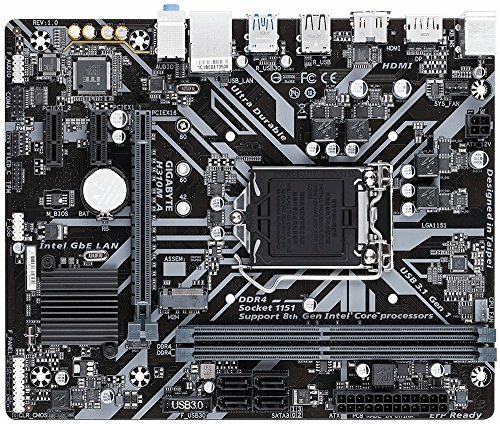 I did build a PC for my nephew using a G5500. I will offer just one critique. In an 8GB RAM scenario it is better to go dual channel 2 x 4GB than 1 x 8GB. You probably were thinking of upgrading to 16GB later with another 8GB stick. For an office PC though 8GB is plenty, absolutely plenty. I am still going fine with 4GB. Good job, glad you posted your Office build. Nice to have it. Finally a post comes and someone has built an office PC. Good build here, the Pentium is a good little chip. 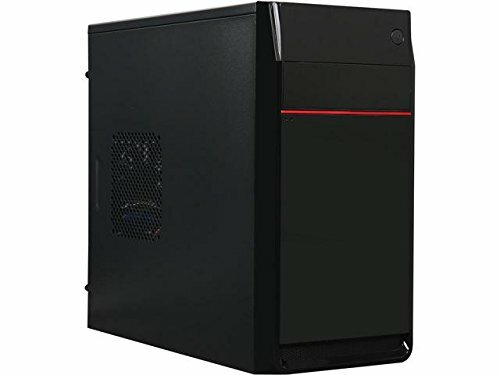 I did build a PC for my nephew using a G5500. Thank you so much. And that's great, and I'm certain your nephew is enjoying their computer. I think these new Pentiums are sometimes underestimated with certain tasks that they can do despite its limitation on other things yet a powerful little processor. I will offer just one critique. In an 8GB RAM scenario it is better to go dual channel 2 x 4GB than 1 x 8GB. You probably were thinking of upgrading to 16GB later with another 8GB stick. For an office PC though 8GB is plenty, absolutely plenty. I am still going fine with 4GB. Understandable about the 2x4GB for more memory bandwidth when using integrated graphics, slightly more responsive with applications, and increasing data transfer. In gamer perspective that can be a slight increase in FPS or not much of a difference. I was more focus on clearance, trying to maintain savings if possible (mid-July 2018), and yes you are correct to offer an upgrade path despite that 16GB isn't required for basic uses. Our current uses shows to be very responsive (instant load ups with our applications and browsers). I'm not surprised to hear about 4GB is OK for doing the basic uses on a computer. As long not multitasking with many applications and having a bountiful google chrome browsers in the background. Who knows when that bare minimum will change but 8GB offers a bit more response. Good job, glad you posted your Office build. Nice to have it. Thank you very much. It's been great having a major upgrade with a speedy and responsive computer versus a snail computer that worked hard for a good while. Sheldon is my favorite were did you get the figures? Mine was purchased locally at our Hallmark store. However, you can also order it online on Amazon. Usually Hallmark sells these particular plush figures. Yikes... at least it has something left. But yes, you can purchase it online or can check out Hallmark's website. They sell them online too. Awesome, El. I can't edit to see the Penny PC! Thanks so much for your support! Haha a Penny PC. I wish they had some plush versions of Penny, Bernadette, and Amy by now but maybe we have to wait for Season 12 this September for Raji's turn if he will have someone to become his future spouse. Or maybe he'll only be with his yorkshire terrier, Cinnamon and assuming with other dogs. When I see your builds I can't help but think they should be the template for what a post on PCPP should be. I mean holy cow. I love your attention to detail. I could/will learn a lot from your example. When I see your builds I can't help but think they should be the template for what a post on PCPP should be. I mean holy cow. Aw, well I don't know about it being the template for a PCPP description. I tend to "ramble" on a lot when I enjoy something or taking notes along the way when I discovered something or an issue occurs but solvable. I love your attention to detail. I could/will learn a lot from your example. I truly appreciate your support and kind words. I genuinely enjoy building computers when I can. There's always something I learn about each build. Also congrats for feature on your latest addition. I will have to read about it more as I been so busy this entire week. Thanks again bmccarthy! I tend to "ramble" on a lot when I enjoy something or taking notes along the way when I discovered something or an issue occurs but solvable. IMO, those are the posts that PCPP needs. The site was built as an educational tool to help the uninformed to learn how to build computers. You're a great example of a community member furthering that goal. It's one of the reasons why I put a lot of effort into explaining my mods and answering questions, I learned by example ;). Wow, I don't what to say but thank you. And I hope to continue on for a long time. You certainly have done the same regardless. It shows on your passion base on your computers and your experiences. Where's the CPU cooler though? It's an intel heatsink with pre-applied TIM. This CPU air cooler already comes with the processor. How are the temps? 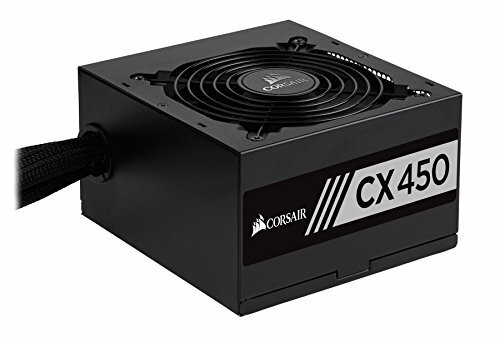 and would you upgrade to a non-stock cooler in the future? Actually not that bad for the time being. The highest was 48° C when on the computer doing a few multiple tasks for few hours (usually on this PC it's scanning checks, paper and Word). Though if it's doing something one at a time or just on the browser it can be around 29~34° C. When it's a cold boot it starts at 22° C. For now it's OK with the intel stockfan. Never seen this PC and the other one hit 50° C for what we have done. If the temps every become a problem then I would suggest to my boss the Cryorig M9i. The best air cooler for non-k processors base by my personal experiences. Easy to install and RAM clearance friendly. Compact too. why did you buy your window and Microsoft office keys from the oem instead of a key seller? Everything was purchased from Amazon by my boss. Prices went up a bit in July 2018 and the Windows 10 is an OEM. We have no intentions to upgrade to a new generation of hardware anytime soon. I think you should've gotten a semi- or fully-modular power supply, live the EVGA B3 450W. Fully modular, $37 bucks. Would've saved a lot of time on cable management, but still a nice build! I also don't see why you got a 250GB SSD and a hard drive of equal size. I think the HDD size should be at least 2 times the size of the SSD. But that's now and not back then when purchasing the PSU in July plus my boss purchased everything on Amazon. I had no problem cable managing but I understand a semi-modular and full modular are much easier but it was easy for me to cable manage this no modular. We did check other PSUs but it was bad timing unfortunately and stuck with the plan for the sake of quality with a budget. Plus the semi-modulars and full modulars were $15 between $30 more at the time, but regardless it worked out in the end. It's because it didn't cost a thing to have the additional hard drives for them and we barely use storage yet it's for per-caution for backup between storing files. The most common type of files we have are PDFs, Word, and Excel. And the total accumulation of our files including some photos from the previous pre-built computers were 7.65GB. This was six years worth and we have already back up these files. 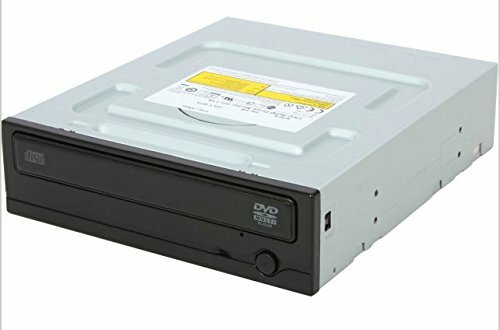 We also use a networked 2TB external hard drive to backup all the files for the computers. 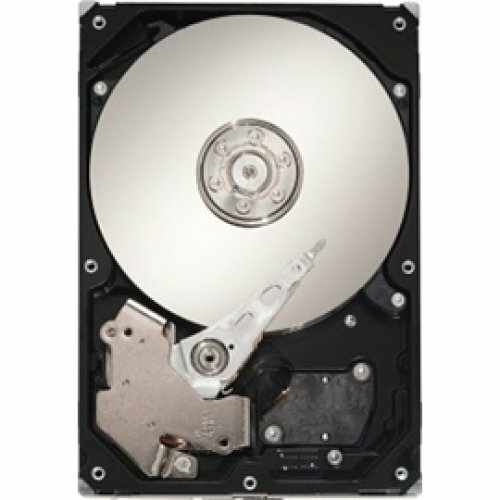 We are doing good with storage wise and are very happy to have up to date, speedy computers. Thanks! Certainly am so far and it's been great! The Pentium, at retail, comes with stock cooler.